Using emotional intelligence really can help you succeed in your job search. But what is emotional intelligence, and why is it that success in life sometimes seems unrelated to intelligence and how hard you are prepared to work? It has been said that your IQ can land you a job but your lack of EQ (Emotional Intelligence) can get you fired. However, demonstrating emotional and social intelligence is becoming more and more important in your job search. Many more recruiters and employers now appreciate that emotional intelligence and social intelligence are great determinants of the success you are likely to achieve at work. A study from Virginia Commonwealth University has shown that “high emotional intelligence does have a relationship to strong job performance — in short, emotionally intelligent people make better workers.” As a result, companies like Microsoft and Deutsche Bank now use EQ tests in their recruitment processes. Recognizing the significance of this, means you can use emotional intelligence to help you succeed in your job search. But what is emotional intelligence? In 1996 Daniel Goleman wrote his groundbreaking book “Emotional Intelligence“. His exhaustive research had confirmed that success in life is based more on our ability to manage our emotions than on our intellectual capability or our physical strength. Emotional intelligence is the ability to identify, assess, and manage your own emotions, the emotions of others and also group emotions. It can also be a way of engaging with others that draws them to you. But EQ can do more for you in your job search than just impress a potential employer, it can help you decide what kind of role to go for. First, when do you feel excited or curious? This will help you be clear about your interests and passions. Second, work out what makes you upset, depressed and angry, and why? This helps you identify your core values and that often makes the difference in whether a job or career will be the right fit for you. Understanding your emotions can also help you maintain your optimism and cope with stress during a long job search – it can help you stay positive while you find the right role for you. If you would like to know more about emotional intelligence and how it can help you at work as a manager and leader, go to our sister site WiseWolf Talking– Leadership, Management, Career and Personal Development. If you would like to know what emotional intelligence might mean for you in your life outside work then please visit WiseWolf’s Your Happiness Factor. Using emotional intelligence can help you succeed as a leader. But what is emotional intelligence, and why is it that success in life sometimes seems unrelated to intelligence and how hard you are prepared to work? The ability to call on these five qualities can help you to succeed as a leader. Self-awareness means you are in touch with your own feelings and emotions. You understand how they affect your behaviour and how they influence those around you. You can strengthen your self-awareness by keeping a daily journal where you record how you feel each day and then reflect on what you have written. Take time during the day to monitor yourself, your feelings and how you are reacting to things. Self-regulation means you don’t let fly with negative emotions or make rushed judgments about things or people. Successful leaders stay in control of themselves and they are prepared to be flexible while being accountable. To help you do this, you need know your values and where you are not prepared to compromise. Spend some time thinking about what really matters to you. Make a commitment to be accountable for what you do and practice staying calm. A relaxation technique can help – try this technique on our sister site WiseWolf’s Your Happiness Factor. Motivated leaders have a clear vision and work consistently towards their goals. Do you have that clear vision and is it still appropriate to you and your organization? Find out more about developing the right vision at this link. If you get to the point where you are responding to events, rather than being proactive, then take action because your lack of motivation could put your organization at risk. For leaders, having empathy is critical to managing a successful organization or a successful team. Empathy means you can put yourself in someone else’s situation. Leaders with empathy help develop their teams as they develop themselves. They make sure that people are treated fairly, and they listen. As a result they earn respect and loyalty. Practice imagining yourself in someone else’s shoes – put yourself in their position. Listen carefully to what people say and pay attention to body language – respond to feelings! Leaders with social skills are good communicators – they communicate well and often. They’re just as open to hearing bad news as good news! Leaders who have good social skills have the confidence to resolve conflicts before they threaten the team or the organization. Learn to talk to your team and if necessary do some formal training in communication skills and conflict resolution. Emotional intelligence is the ability to understand and manage both your own emotions, and those of the people you lead. Having a high EQ means knowing what you are feeling, what this means, and how your emotions can affect other people. For leaders, having emotional intelligence is essential for success. Take time to work on self-awareness, self-regulation, motivation, empathy, and social skills. They will certainly help ensure that you succeed as a leader. If you would like to know more about emotional intelligence and how it can help you in job search go to our sister site WiseWolf Leaving the Public Sector. 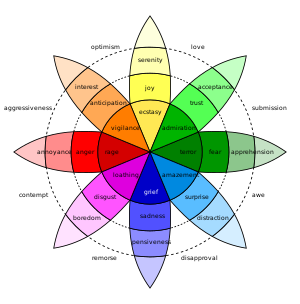 If you would like to know what emotional intelligence might mean for you in your life outside work then please visit WiseWolf’s Your Happiness Factor.